The V265 DC Block has been designed and optimized for optical communications and other high speed pulse, data or microwave applications. 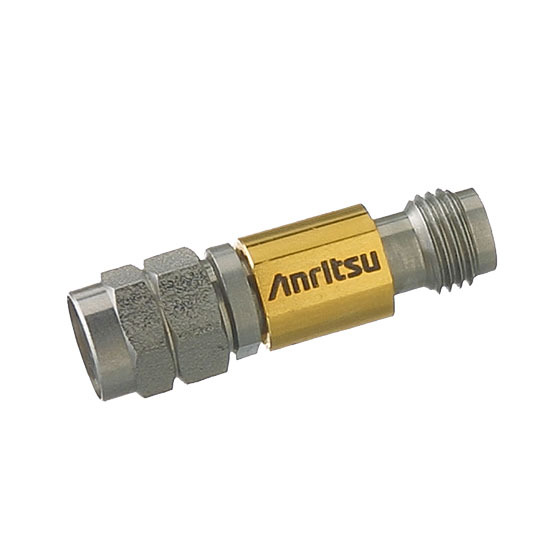 Based on the coaxial resilient connection – which is the same as on our V255 Gen II Bias Tee – it provides excellent low frequency response with very low losses and flat group delay over the temperature of operation. Designed to apply AC drive signals to a device while eliminating any DC voltage or current components. The V265 DC Block can be used in isolating DC leakage between two electrical components. The DC block comes with a standard V Connector® and assures excellent impedance match across the wide bandwidth available. A one-year warranty is provided.